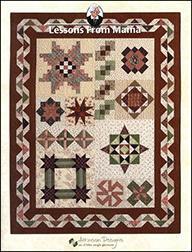 Terry's clear, easy to follow instructions bring quilt lovers back to her designs again and again. These 12 easy to follow lessons will improve and expand your range of quilting techniques. Once you've mastered these new techniques, you will confidently move on to some fun additional projects.